Beth Lundgreen joined Mackenzie's Interiors Department in 2013. 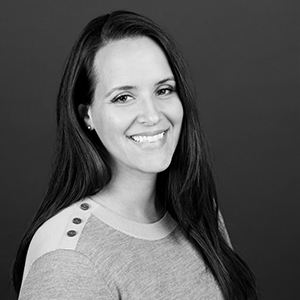 Her previous experience includes a total of seven years of experience on corporate and medical tenant improvement projects with WGS and CIDA, as well as several years with Henriksen Butler as a furniture designer. Beth earned a B.A. in visual arts and interior design from Brigham Young University. She has her certification through the National Council for Interior Design Qualification (NCIDQ) and is a past member of the International Interior Design Association (IIDA). "Traveling and meeting new people from all walks of life inspires me. Learning about where people come from and how they live helps me to see the world in a different way." finding balance and harmony between the things you must do and the things you love to do. I don't need to use an alarm clock. No matter what time I need to wake up, I never need to worry about setting an alarm. It's fantastic!